NEW BREMEN, Ohio (July 21, 2011) – Crown Equipment Corporation, one of the world’s leading forklift manufacturers, announced today that it has been ranked again by the Industrial Designers Society of America (IDSA) as one of the world’s best industrial designers. 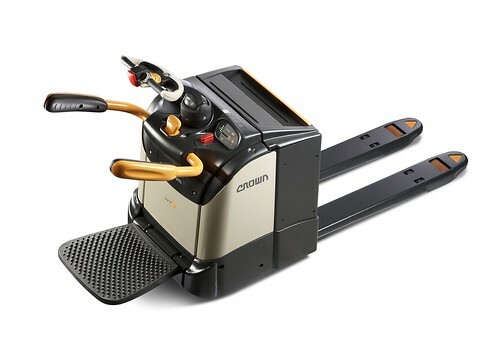 Selected by IDEA and presented by Co. Design and Fast Company, Crown was honored with a 2011 Gold International Design Excellence Award (IDEA) for the Crown WT 3000 Series of pallet trucks. 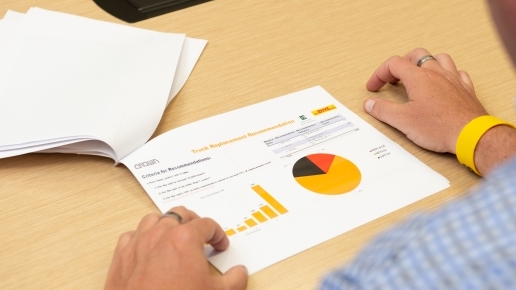 Crown has won more IDEAs in the Commercial and Industrial Equipment category in the last 11 years than any other company. This is the sixth consecutive and nineteenth overall IDEA award for Crown. The Crown WT 3000 Series of pallet trucks, which is available in Europe, is designed to accommodate intense pallet truck conditions and high throughput demands. The Crown WT 3000 Series combines robust engineering, durability, performance and operator comfort, and is loaded with innovative features such as the Crown Access 1 2 3®, AC technology, and e-GEN® braking system to lower operating costs and improve energy efficiency. The FlexRide® suspension system provides riding comfort during trailer loading and transport, and the optional weight-adjustable FlexRide® platform reduces impact shock to the driver. The IDSA IDEA program receives thousands of product submissions each year but only a few are honored with an IDEA award. With entrants from countries as far-reaching as Japan, Croatia, Brazil and New Zealand and a continuing upward trend in international participation, the IDEA program highlights the best in design from around the world. Industrial Designers create satisfied customers by designing products, interfaces and services that are desirable, accessible, comfortable, ecologically responsible, innovative, safe and easy to use. In this way, industrial designers have a quiet but profound presence in almost everything people encounter during their daily lives. Industrial Designers Society of America (IDSA) is the voice of industrial design committed to inspiring design quality and advancing the design profession through education, information, community and advocacy. Founded in 1965, IDSA is a professional membership organization with more than 2,300 members in 27 chapters in the U.S. and internationally. Crown is one of the world’s largest lift truck manufacturers. 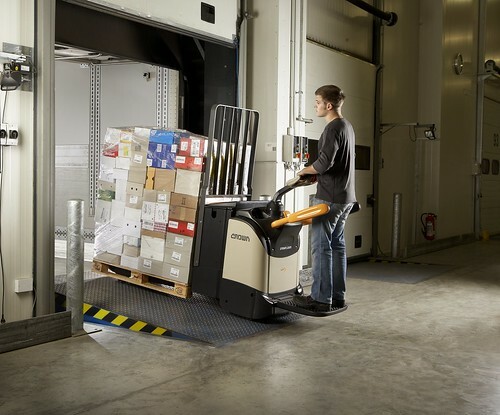 Crown’s award-winning line of lift trucks maintains a reputation for exceptional product design, engineering and manufacturing. 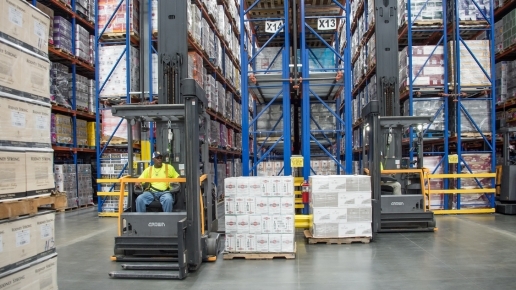 From the smallest hand pallet truck to the highest lifting turret truck, Crown seeks to provide users with safe, efficient and ergonomic lift trucks that lower total cost of ownership and maximize uptime. Headquartered in New Bremen, Ohio, Crown manufactures lift trucks that are sold throughout the world. For more information, visit www.crown.com.